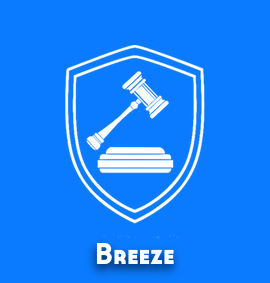 Breeze, our popular and extensive 1 year classroom program is explicitly designed to empower students, who are preparing for CLAT and other major law entrance exams. Our blue eyed baby ever since we started out training for law 7 years ago. The law breeze program is a just in time product, the pace is still not panic driven here but one needs to canter if not gallop. This program is made and designed to give you ample time for fundamentals and practice for MCQs. This 1 year program is inline for all CLAT aspirants targeting the immediate CLAT paper. Apart from classroom training and extensive study material, students also get hold of online test and support. The complete breeze program is planned and managed in a way where students can put their worries of maintaining balance between School curriculum and law entrance exam preparation at rest. Clat Possible’s One Year Flagship Course. Ideal for Class 12 and Gap Year Students. Lectures : 270 Sessions, 540 Hours , Classes 5 to 6 Days a Week, 1 Year long mentor grooming for systematic preparation which has one of the highest call conversion rates in the country. Includes all the offerings of TS Summons Plus(1 year correspondence course). Access to “MyZone” – India’s Pioneering Online Support Platform where students can get hold of General Awareness and it also provides latest notifications, updates, newsletters pertaining to various law entrance exams, Forums for discussions. Comprehensive material (11 Fundamental Books, 5 Practice Workbooks) covering theory, practice and mocks. Following content books are Prepared by our intellectuals taking into consideration all recent law entrance exam patterns/questions that provide our students edge over other law aspirants to be the winner in shaping their law career. READING COMPREHENSION & VERBAL REASONING : This section tests the students ability to understand the passage and answer questions on the basis of what is stated and implied in the passage. To be master in reading comprehension one needs to practise more and more. This book contains many questions to practise and to gain the confidence. Verbal reasoning is understanding and reasoning using concepts framed in words. It aims at evaluating ability to think constructively, rather than at simple fluency or vocabulary recognition. Variety of questions can be framed in this section and they are described beautifully in this book. GRAMMAR: For an effective and meaningful conversation having a good grasp on grammar is must. In CLAT and other law entrance exams too multiple questions are asked based on english grammar. Our fundamental book provides in depth knowledge and tips on how to build and improve your grammatical ability with lot of practice questions from previous year exams to be solved. VOCABULARY: The more vocabulary words students know, the better they are able to comprehend. It is intimately connected to both effective reading and writing skills, and these skills in turn are necessary for doing well in law entrance exams. In CLAT you will be asked the direct questions on vocabulary but in the analytical question you would need to show your knowledge again. This book contains all what you need to prepare. ANALYTICAL REASONING: Analytical Reasoning also known as non-verbal reasoning judges the ability to consider a group of facts and rules, and given those facts and rules, determine what could or must be true. In CLAT there will be multiple questions on analytical reasoning based on a single passage. This book covers all concept of analytical reasoning along with questions asked in previous year law exams. QUANTITATIVE ABILITY: The quantitative ability or aptitude judges your ability of how accurate are you with mathematical calculations numerically. In CLAT different kind of question are asked from this section like pure numeric calculation, time and distance, ratios and proportions, time and work, simple and compound interest, averages, profit and loss, graph, tables, Arithmetic reasoning etc.This book combines all these topics with in depth explanation and questions to practise. GENERAL KNOWLEDGE : The General Knowledge (GK) section has the highest weightage in the CLAT, along with Legal Reasoning. Our book contains the largest collection of topics related to GK to help students excel in various law entrance exams. CONSTITUTIONAL LAW: Constitutional law is one of the most important subject of CLAT, It is all about dealing with the fundamental principles by which the government exercises its authority. constitutional law empowers individuals and organizations to protect their interests by filing a lawsuit against those who infringe upon their rights. Our fundamental book covers all the topics of constitutional law with in depth concept along with previous year question papers. LEGAL KNOWLEDGE : Legal knowledge, also known as legal awareness/consciousness is the most important topic for the students preparing for various law entrance exam. It is the empowerment of individuals regarding issues involving the law. Legal Awareness concept includes “the meanings, sources, authority and cultural practices that are commonly recognized as legal, regardless who employs them or for what ends. CRACKING CONTRACTS: In the legal world, contract means an agreement with specific terms between two or more persons or entities.Since the law of contracts is at the heart of most business dealings, it is one of the most significant areas of legal concern. Book contains all the topics and case studies related to various contracts along with previous year question papers. INVESTIGATING CRIMES(CRIMINAL LAW): Criminal law or panel law relates to law of crime in India which regulates public safety, wrongful conduct and moral welfare of people including punishment of people who violate these laws. In terms of law entrance exam preparation this part is as important as other and the book is designed to covers all the topics with brief description. LEGAL APTITUDE (TORTS) : A tort, in common law jurisdictions, is a civil wrong that unfairly causes someone else to suffer loss or harm resulting in legal liability for the person who commits the tortious act. The primary aims of tort law are to provide relief to injured parties for harms caused by others, and to impose liability on parties responsible for the harm. Book contains all the important contracts and case studies related to torts along with previous year question papers. LEGAL REASONING: This book is the best compilation on legal reasoning. It extensively covers Basics of law, Legal terminology, Indian penal codes and other topics. To make student comfortable various questions from past year exams are also included for the practise. This book presents Legal concepts and case studies with in depth explanations and examples in a way which is easy to comprehend/understand for students. ENGLISH : This practice work book covers topics such as  Comprehension passages  Remedial Grammar  Improving sentences  Ordering sentences  Choosing appropriate words  Synonyms  Antonyms  extensive vocabulary section. Plethora of exercise questions along with solutions, explanations and tips have been included. QUANT : Specially prepared by our expert team as per the standard and type of questions asked in previous CLAT exams. explicitly focussed on following areas :  Time and distance  Profit & Loss  Simple and compound interest Averages  Time and work  General Arithmetic Problems Ratios and proportions. AR : Your quick decision making ability depends on how good are you with analysing a particular scenario and figuring out the outcomes, Our practice work book covers hundreds of questions on analytical reasoning which help you improve your analyzing capability. CR: Critical reasoning questions test your ability to analyze logical arguments. our practice workbook is designed to cover all kind of questions on critical reasoning which are asked in CLAT, AILET and other law entrance exam with brief description. 40 Sectional tests in all subjects. 500 Topic based questions in all subjects. 10 Tests for Mock NLU D.
2 Tests for MOCK SYMBIOSIS. 1 Tests for IP,1 test for BLAT and 1 test for MHCET. All the mock test questions are carefully prepared after thorough research by our team of expert considering the latest CLAT/AILET and other law entrance exams pattern. Who will get the maximum benefit from it? This course is intended for anyone interested to study at Top Law School in India and wish to appear for CLAT and Other Law Entrance Exams held in 2018. This course is ideal for students who wish to start preparation for law entrance exams as soon as they start Class XII studies or have passed Class XII(Gap year students). This course is aimed at anyone, who wants to experience real life test environment. Senior Secondary School/Intermediate (10+2) or its equivalent certificate from a recognised Board with not less than 45% marks in aggregate (40% in case of SC and ST candidates). Students whose results are awaited can also appear in the test. This course is a boon for those who would like to study with best of brains preparing for CLAT. This course is suitable for those who can and would like to attend the classes on regular basis with their best buddies. This course is a gem for all those inquisitive minds who would like to get all their questions answered in no time. Our Mr. Chairman; Remember the MDI Gurgaon MBA Grad. Ironman 140.6 Western Australia, Ironman 70.3 Hawaii, Before we forget, he also finished IInd runner-up in the Grasim Mr. India 2003 rounds. An educationalist at heart and a vicious management expert in his brain, it is certainly his visionary observations that brought us to where we are, and CLAT Possible is a name to reckon. This is the Hindu college alumni who set up the skeletal framework for the academics of the Company.She was also nominated for Fulbright (FLTA) to UC,Davis in 2009.She did her Ph.D from University of Lucknow in 2018. A true mentor to thousands of students, she is not only the face of CLAT Possible but also the trusted face of Good Advice. Fulbright nominated from UC Davis (USA), Alumnus Hindu College. Fantastic faculty who gave me a lot of feedback and support in and out of class. I am truly indebted to them for getting me into the career of my choice.